Keep More CASH In Your Pocket When We Buy Houses Bradenton Fast! We Buy Houses and Homes in Bradenton! Sell This House Bradenton Fla. The Sell Fast Center Can Help! regardless of whether you live in the house or not, or you’re renting it out to tenants, whether the house is empty, or not even inhabitable. We buy houses Bradenton FL and we help house owners who have inherited an unwanted house through probate, own a neglected building, are late on mortgage payments, owe code liens, moved into a smaller place, or just cannot sell and must sell my house fast… even if the property requires serious (or only small) repairs that you can’t afford… and yes, even if the property is fire damaged or has the worst rental tenants that take advantage of everyone. Occasionaly, homeowners who own homes are just too busy to take the time to do all of the things that are needed to sell my house quick for cash. If this describes you and your unwanted house is causing you stress and frustration, let us know about the property you would like to sell fast and I will buy your house for cash now regardless of the condition or situation. Just complete the form on this page and in just 15 minutes we will present you with a fair all cash sell quick offer on your house in Bradenton FL. TSFC is Your #1 easiest Cash Buyers For Homes Homebuyer in South Florida! 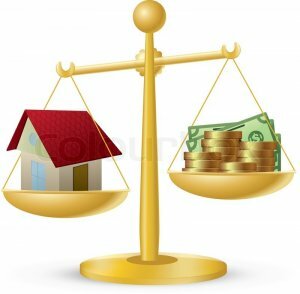 There Are Many Ways For Us To Buy Your House – We Can Pay CASH For Houses in Bradenton Florida, We Can Take Over Your Bradenton House Payments, Owner Financing Bradenton, We Can Lease Purchase Your House Immediately, AND We Have Special Programs To Pay More For Your Home Than The Average Investor When We Buy Your Property. Keep 10-20% More Cash In Your Pocket With No Commissions or Hidden Fees ever – We pay ALL the buyer and seller closing costs using a reputable local licenses and insured title company when we quick buy houses in Bradenton so you walk away with more cash in your pocket! We Provide quick home sales FAST on your home in just 7 days or on the date of YOUR choice – YOU select the closing day! We Buy Houses Bradenton As Is so there are no maintenance or anything required from you at all for us to buy real estate – you can leave the house and any unwanted furniture or mess exactly as it is and we will have our crew handle everything at closing! Regardless where your Florida home is located, no matter the current condition it’s in or your current reason for selling – we can make you a fair cash offer today. An offer that’s fair, honest and creates a win-win situation for everyone.We buy ugly houses Bradenton, nice houses for sale in Bradenton,we buy big houses for sale in Bradenton, we buy beautiful homes for sale in Bradenton, we buy land for sale in Bradenton, lots for sale in Bradenton, townhomes for sale in Bradenton, condos for sale in Bradenton, we buy flats for sale in Bradenton, apartment buildings for sale in Bradenton, multifamily for sale in Bradenton, we buy duplex for sale in Bradenton, we buy triplex for sale in Bradenton, and we buy fourplex for sale in Bradenton, residential properties and buildings for sale in Bradenton, commercial properties and buildings for sale in Bradenton, mansions for sale in Bradenton, we buy apartments for sale in Bradenton, we buy single family houses for sale in Bradenton, we buy small houses for sale in Bradenton, and villas for sale in Bradenton. Here at The Sell Fast Center we do things a little differently. We buy houses Bradenton guaranteed. Within fifteen minutes of you contacting us by phone or on our home buying sites, we will make you a fair cash offer for your Bradenton FL home real estate that we’ll stick by. After you accept that offer we’ll arrange a closing date on your schedule that suits your timeline for when we will buy your house and close escrow. If the property needs updates that’s OK, we will take care of them for you. Do you need cash ASAP? We can make that happen in as little as 7 days because we buy houses online! The Sell Fast Center is NOT a real estate agency where we sell homes for commissions and fees so we will never offer to list your house on the MLS. We Buy Houses Bradenton For Cash fast and easy so you can sell your property quick! We are not traditional real estate agents and we are not looking to list your house on the MLS like all the real estate brokers in Bradenton Dade and Broward County who sit back and wait around for a retail buyer to knock on our door. We truly don’t want to see you waste your time getting your house ready for showings or inspections because we know your time is valuable. Thankfully, theres a better way you can sell your house For Sale By Owner Bradenton with The Sell Fast Center. We are a quick house sale real estate investment company where you can sell your property for cash as is and leave the property damage to us. Just submit your Bradenton Florida address house information in the form on this page or call 305-964-8223 anytime for your free no obligation fair cash offer. Then you can collect your cash deposit from us and unwind while we all wait for the closing date that you chose. Most of the time, homeowners/sellers facing foreclosure discover that the fastest solution is filing for bankruptcy. Even though this does pause the foreclosure process for a while, it doesn’t stop the general process altogether overall which means sooner or later you will still lose the property. Also, with a bankruptcy on your credit file it will take much longer to turn your life around so you could qualify for a new loan if you ever decide to be a homeowner again. Avoid the foreclosure process by getting cash offers in real estate and selling your property by requesting quick cash for properties! We can help you fast sale house in Bradenton for a fair cash offer! The Sell Fast Center is a group of skilled expert fast cash property buyers who provide a service for property owners with homes in Florida that they need to sell fast! The temperature of the real estate market in Bradenton FL is Hot. The median sales price of houses that sell here is $225000 and the median rent price charged to Bradenton tenants every month is $1900. The median income of the citys population is $41713 per year and 29% percent of the population is college educated. With a median age of 45 years old, most people in Bradenton area commute by Car. We buy houses throughout the entire city of Bradenton FL including the following Zip Codes: 34205, 34208, 34209. 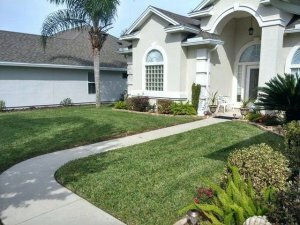 Looking To Sale Your Property in Bradenton To Companies That Buy Houses Fast? Did you inherit a probate house in Bradenton fl? 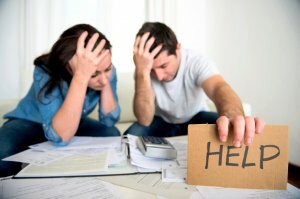 Are you having trouble making your Bradenton fl mortgage payments? Are you tired of dealing with tenants and toilets all day as a landlord in Bradenton florida? Are you going through a divorce with real estate in Bradenton Florida? Do you have a Bradenton fl property with tax liens or code violations against it? Is your Bradenton fl house vacant or damaged from fire or simply rundown? Follow Me Ana Garcia on Google+ for more interesting Bradenton Real Estate Market related news, articles, and content!